For Euphonium and Piano. Composed by Eric Ewazen. Premiered at the International Euphonium Institute at Emory University, Atlanta, GA. Contemporary. Solo part with piano reduction. With Standard notation. 28 pages. Duration 17 minutes. Theodore Presser Company #114-41485. Published by Theodore Presser Company (PR.114414850). Adam Frey is perhaps the greatest proponent of the euphonium (witness: euphonium.com), with over 70 works written or arranged specifically for him. 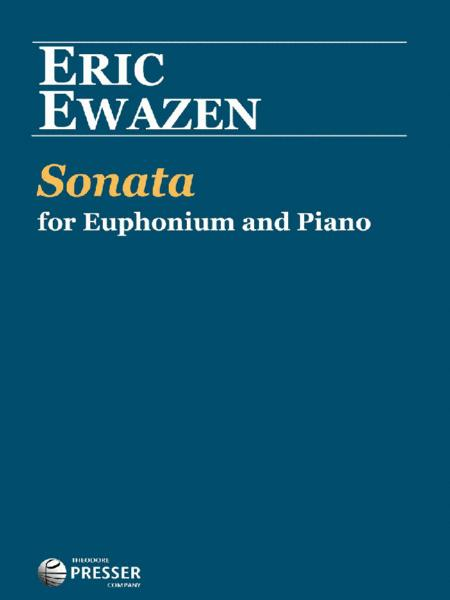 For a world-class low brass player, it is only natural to add Eric Ewazen to that growing list of composers, and Ewazen responded with his Sonata for Euphonium and Piano. The composer describes the sonata as "in the spirit of the 19th-century sonatas for winds and piano, where the soloist and the pianist are very much equal partners, with musical gestures constantly tossed back and forth between instruments. It is in a traditional 3-movement form: a lively, bold fast movement, a sweet, song-like 2nd movement, and a riveting, exciting finale." 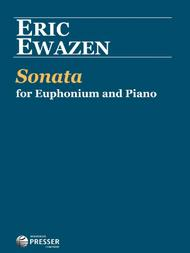 Interested parties can find a masterclass by Adam Frey on the Ewazen Sonata on YouTube For advanced performers.